If you’re a total dork like me, you feign a lot of interest in the Rock and Roll Hall of Fame. The inductions and the decisions made by the voting staff have been questionable at best, often focusing on big names over quality names even after years of complaints (Television has never been nominated? Okay). But it’s still interesting to see which acts get picked for their permanent place in the record books. This year’s nominee list has been released and – like last year – it sets the record at 19. What makes this process fun is that the Hall has no set number of yearly inductees, so anywhere from 1 to all 19 acts could garner enough votes. This means that no act is safe (well, one is, but we’ll get there), and that makes for some prime betting odds. So let’s dive in to all 19 nominees and whether the act deserves inclusion and if they’ll get it in 2018. Odds Of Inclusion: 3:1. 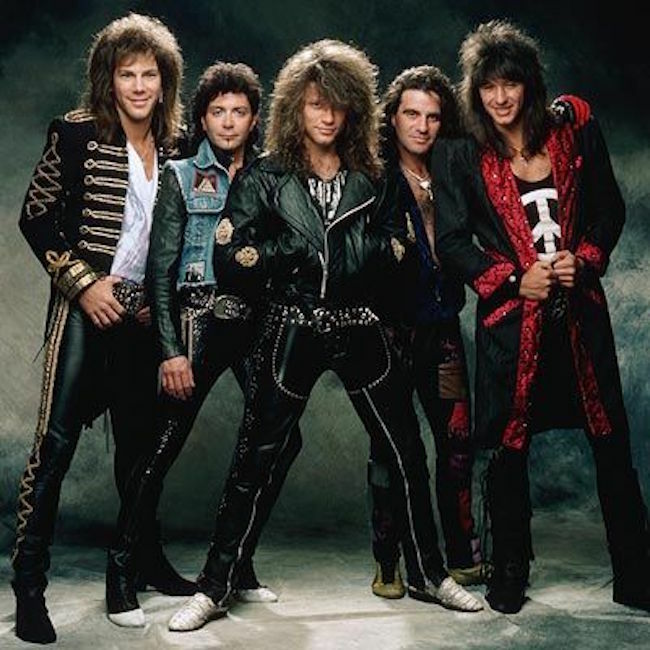 Bon Jovi has never been popular with the critics, and has always been divisive with the fans. Even though they retain fans like Springsteen does, the people that dislike Bon Jovi tend to have a strong, negative stance. Normally, this would be a tough sell. But, the Hall also has a yearly popular vote winner, which is how Journey got in last year. I would expect Bon Jovi to grab this popular vote. Should They Be Included: No. Odds Of Inclusion: 10:1. The Hall has been chronically cold to solo, female vocalists. Whitney Houston isn’t even in. Bush stands a chance as one of the most successful artists in British history, but her popularity never fully translated in America. Her famously reclusive life also doesn’t translate well into American celebrity culture. She is deeply respected in the music community, but given that this is her first nomination after 15 years of eligibility, it looks like a tough hill to run up. Should They Be Included: Absolutely. Bush has one of the best voices in pop history, one of the best singles (1978’s “Wuthering Heights”) and one the best pop albums (1985’s “Hounds of Love”) ever recorded. Get her in. Odds of Inclusion: 6:1. They’re clearly not a priority, and their output was relatively small, which hurt their chances. But, they’re nominated for the third straight year, so someone wants them in desperately. With only one guarantee this year, it might be their chance. It might be just what they need. Should They Be Included: Yes. Although their music sounds tame these days, they had a string of hits that helped define new wave and alternative music as well as music videos. They had their hands all over the beginnings of alternative music. 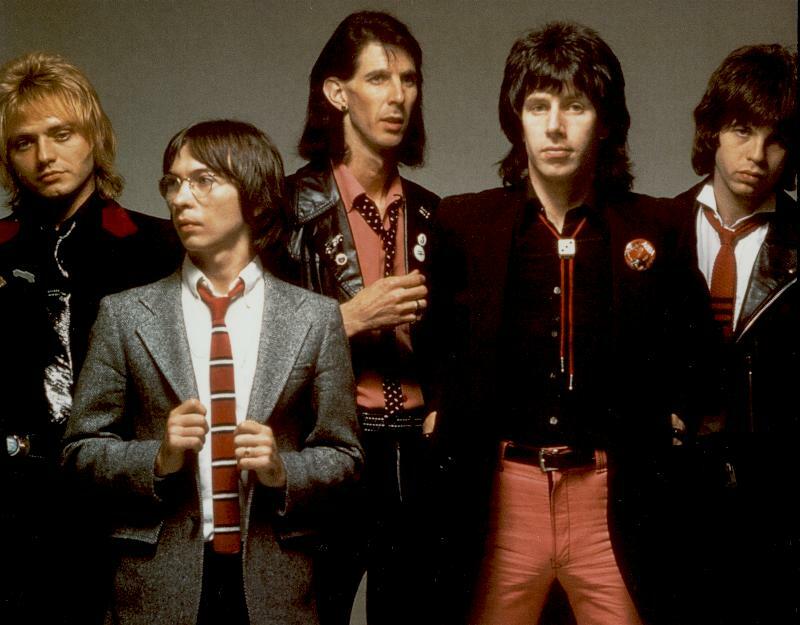 Ric Ocasek would again help change alternative music in ’94 when he produced Weezer’s legendary debut. Odds of Inclusion: 8:1. Like The Cars, Depeche Mode were big factors in early alternative music. They helped define and dominate synth culture of the 80’s. And unlike many of their peers, they maintain an active presence, release albums regularly (including a decent one this year), and remain a popular live act. But, the Hall tends to focus away from synths, and Depeche Mode rely on synth for every song. So it’s a tough sell. Should They Be Included: Yes! But I cannot recuse myself from bias on this one – I absolutely love Depeche Mode. But they should be in for their long string of hits, and their classic “Violator” album, a shining star in alternative music. I mean, they’re a synth band that got covered by Johnny Cash. That’s something. Odds of Inclusion: 6:1. Many of this year’s nominees are relatively safe choices (save two), and Dire Straits represent one of the more musically talented, classic rock oriented safe choices. 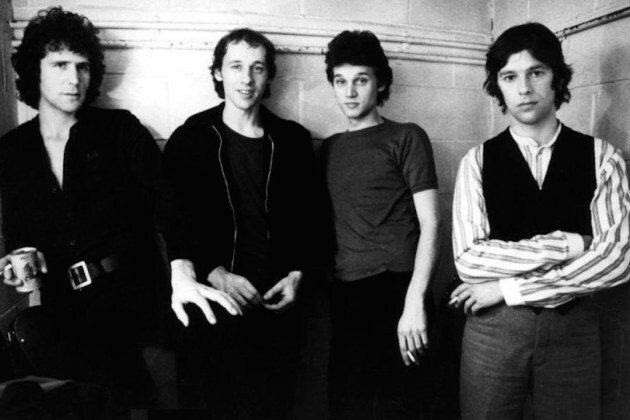 The Hall is still devoted to classic rock, even as they run out of bands, so Dire Straits have a decent chance. They’re also a band that transitioned well into 80’s, MTV culture, which adds points. I wouldn’t call them a definite, but they have a good shot. Should They Be Included: Sure? I’m not gonna lie, I don’t know anything about Dire Straits. Odds of Inclusion: 4:1. Although often unfairly reduced to that one song that gets stuck in your head for days, Eurythmics were still crucial for 80’s alternative music in the same way Depeche Mode were. They were a pop powerhouse, with Dave Stewart writing classic after classic. Annie Lennox’s celebrity persona and continued, successful solo career can’t hurt, either. They’ve never been nominated in their 12 years of eligibility, but I have faith in their inclusion. Should They Be Included: Yes, maybe not as much as some other nominees on this list, but yes. Are you ever disappointed when they come on? I’m not. Odds of Inclusion: 10:1. 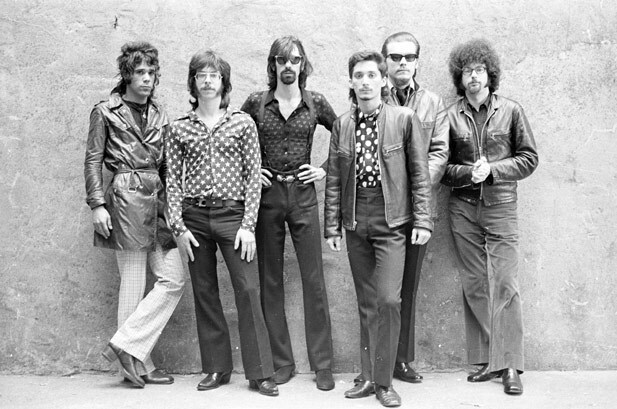 J. Geils Band has a string of hits in the 70’s and 80’s that started as partytime blues/funk and ended as big hair ballads. They were one of the only classic rock bands that figured out how to do the 80’s, and recorded arguably their best music in that period. That said, with no legendary albums and hit-or-miss critical reception, their inclusion would be purely on the basis of inducting a classic rock group. Should They Be Included: Airing on the side of no. In the grand scheme of things, they simply didn’t bring anything new to the table. They had more than a handful of great hits, but that isn’t enough to secure a nod. And Peter Wolf’s onstage rants now just sound sexist instead of cool. “Whammer Jammer” rules, though. Odds of Inclusion: 12:1. 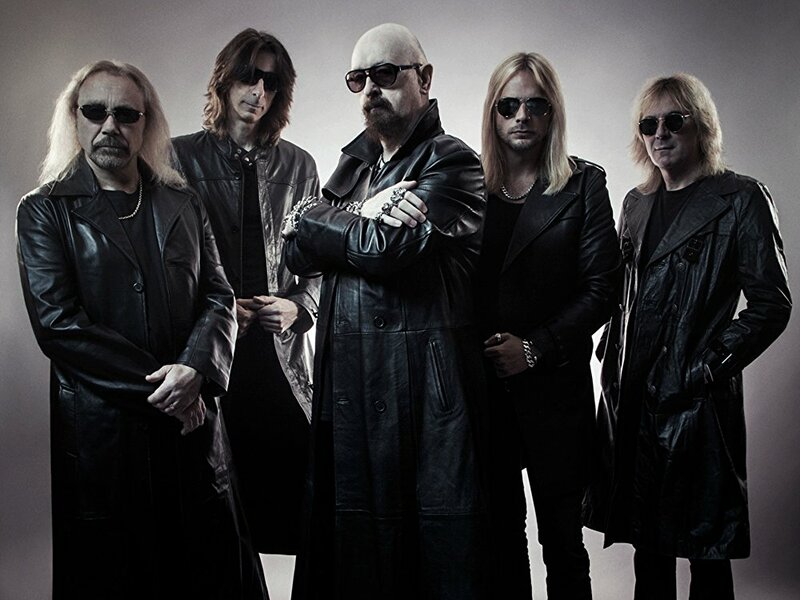 Judas Priest are one of the most important, successful and longest-running metal bands in history. You’d think that would be enough for inclusion, but it’s not. Black Sabbath and Metallica remain the two metal bands in the Hall, and that likely won’t change this year. The Hall likes hits, and although Judas Priest had some, they aren’t as recognizable as “Paranoid” or “Enter Sandman.” Still, a metal band close to entering it’s fifth decade together is extremely impressive. Should They Be Included: Absolutely. Like Depeche Mode, I’m a real big fan, so take this with some salt. But their early, behind-the-scenes work helped cement metal as a genre. They didn’t get the credit Sabbath and Deep Purple got, but they also didn’t hit their stride until “British Steel” in 1980. Still touring, releasing albums and raising hell to this day. Odds of Inclusion: 15:1. 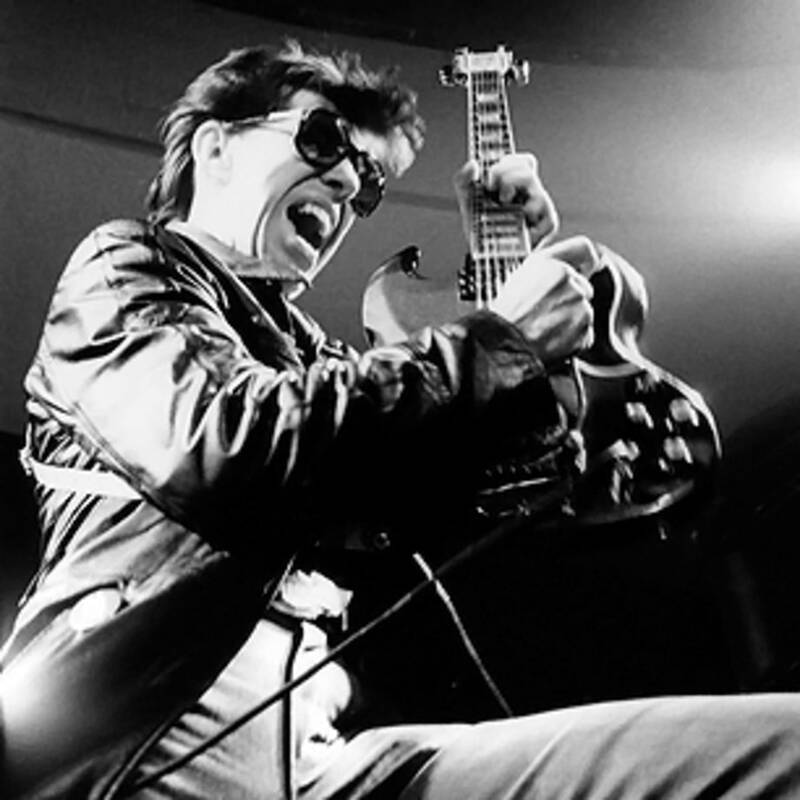 Rock and roll wouldn’t be what it is today without Link Wray. Although Wray performed a variety of genres, he is best and most importantly remembered as a near-sole pioneer in guitar distortion. His 1958 song “Rumble” was banned in multiple cities, despite being instrumental. Even in 2017, the song still cackles and bludgeons. By this point, though, he is so far removed from today’s popularity that he is seen as a lost relic, not someone whose influence still reigns. Should They Be Included: Yes, unequivocally. Odds of Inclusion: 10:1. 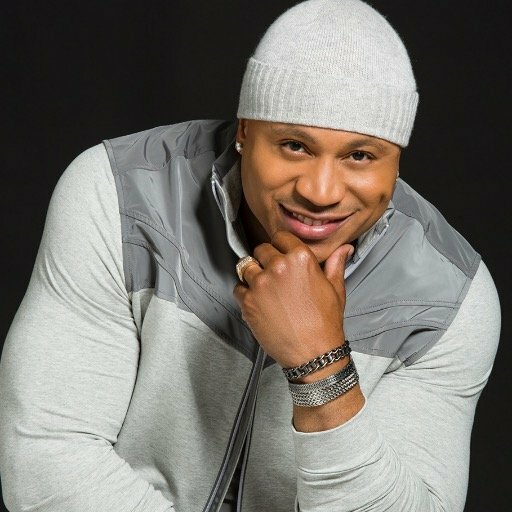 One of the more interesting career shifts in this year’s nominees goes to LL Cool J. The once fiery and extremely influential rapper is now known as an actor, as a very longtime cast member on NCIS: Los Angeles, and as the host of both Lip Sync Battle and (frequently) the Grammy’s. His general, genial public persona softens the hits he once had, which makes his inclusion more difficult. That said, he is the only solo rapper nominated this year, and his influence on the genre is still palpable. Should They Be Included: Yes, not necessarily this year but, yes. Odds of Inclusion: 12:1. 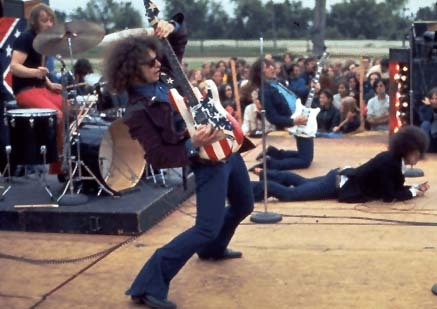 The fire and brimstone of the MC5 was a tough sell in 1968, because of their controversial lyrics and loud music that brought on the rise of punk music. Unfortunately, their extremely limited output makes them a tough sell for the Hall as well. Although they raised punk alongside The Stooges and The Velvet Underground, they were derailed early by controversy. Should They Be Included: For sure, punk’s politics might not exist without them. Odds of Inclusion: 12:1. The Hall has been relatively kind to funk, and rightfully so. 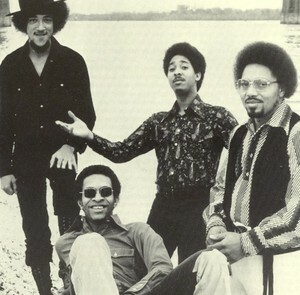 The Meters were originators of funk music, but unfortunately they never enjoyed the success of some of their later counterparts. It’s a tough sell in a crowd of easy, big name artists. They’ve also been nominated multiple times since their eligibility a solid 24 years ago. Still, the Hall could pull through for a great funk group. Should They Be Included: Yes, their influence on funk continues to this day. Odds of Inclusion: 4:1. 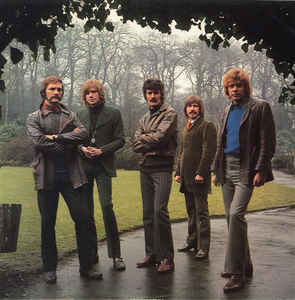 The Hall has been chronically cruel to prog rock, but the Moody Blues mostly shaped the genre and managed to have a whole bunch of radio hits. They’ve been eligible since ’89 and have never been nominated, but their inclusion this year is a definite possibility. Should They Be Included: Yes, they pioneered prog rock and concept albums almost single-handedly. They layed-up to Pink Floyd who dunked with their ideas. They were phenomenal songwriters and even a quick run of their greatest hits is an engaging listen. Odds of Inclusion: 2:1. They’re a definite. As the greatest rock band on the planet and one of the greatest all-time, it would be a shock for them not to get in on their first year of eligibility. If they had stopped after “OK Computer” they would still get in, but their run of eight straight amazing albums (disregarding only their mediocre debut) is entirely unprecedented. Sure, they’ve only had one true hit, but there are only a handful of wasted tracks across nine albums of material. They’re also the definition of ‘critical darling.’ Look forward to their entirely uninspired performance at the ceremony, for a prestige they actively do not want. Should They Be Included: Yes, ful stop. Again – they’re one of my favorite bands, so the bias is strong. But almost no other groups have had the run that Radiohead has and continues to have, with eight straight unbelievable albums and one of the best and most unpredictable live shows on the planet. Odds of Inclusion: 8:1. 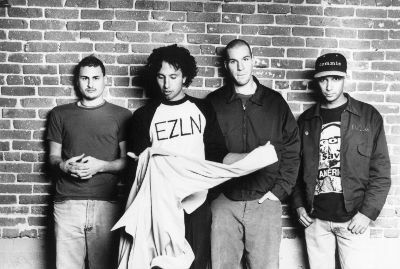 Rage Against the Machine practically defined the anger of 90’s music, even over grunge bands. Although they only released four albums, the group’s completely politically-charged rap-rock resonated hard with the frustrations of a difficult decade. Having one of the greatest and most unique guitarists in rock history doesn’t hurt, either. Fun tidbit that either increases or harms their chances at induction – Tom Morello is one of the Hall’s voting members. It’s entirely possible he nominated his own band. Should They Be Included: Yes, maybe not on the first go, but yes. Rap-rock gets the rightful bad rap it deserves (no pun intended), but RATM really never had a bad song across their four albums. They’re one of those groups that had a totally unique sound, and the fact that it resonated with the radio not only once but across all four albums is a huge shock. Their crossover should deem them eligible in the future, if not this year. Odds of Inclusion: 20:1. Basically DOA. 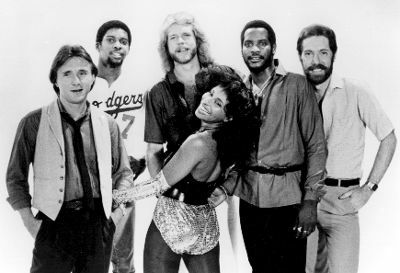 That Chaka Khan has been nominated solo and not gotten in speaks to the chances of her original group, Rufus. The fact that Whitney Houston remains uninducted dooms her frequent collaborator. Still, Rufus put out some great music, and their nomination is not undeserved. They are all absolute funk legends. Should They Be Included: Yes, frustratingly so. Like Chic, they seem to be one of those funk legends that the Hall can’t form an opinion about. But if they can’t even induct Whitney Houston then Khan’s future in the Hall seems dim. Odds of Inclusion: 4:1. 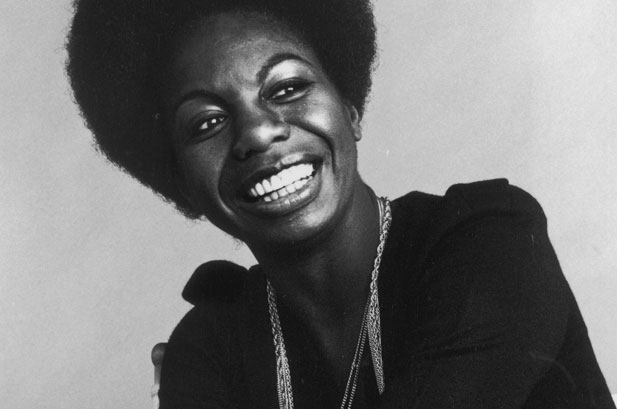 Interest in Nina Simone has spiked over the past few years, after the popular documentary “What Happened, Miss Simone?”. 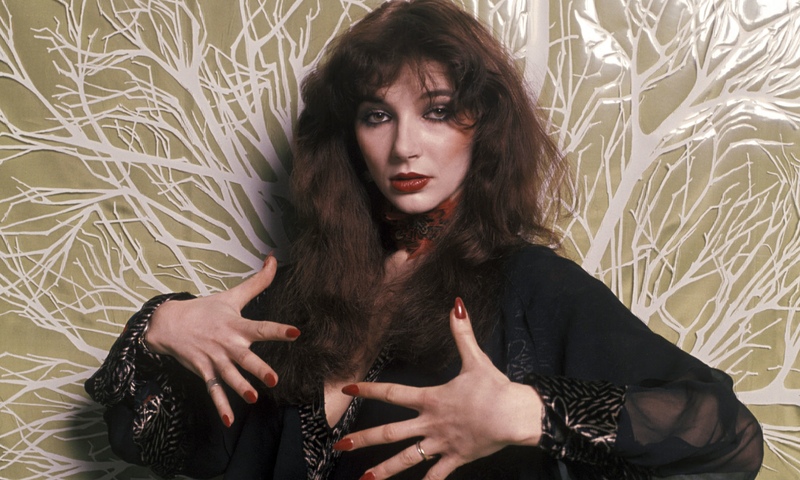 She was eligible for the Rock Hall on their very first year, a whole 34 years ago, and she hasn’t been nominated before this year. This normally would be damning, but she will likely get in on her first nomination. Should They Be Included: Of course. Odds of Inclusion: 25:1. I have to put Miss Tharpe, deeply unfortunately, as the long-shot of this year’s nominees. 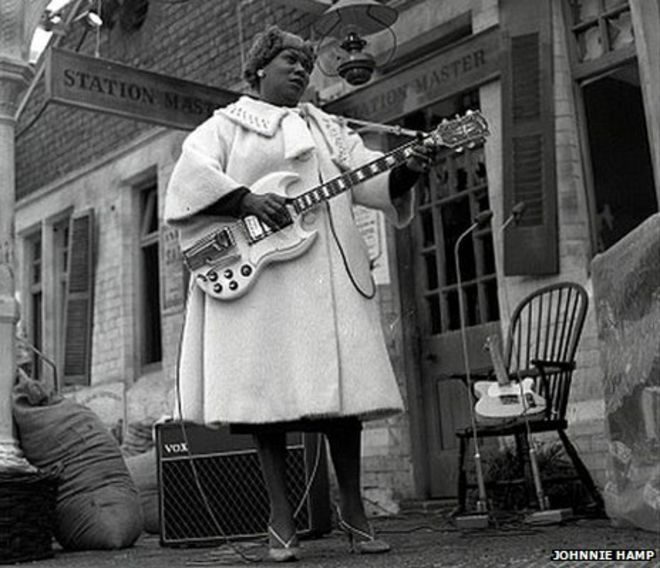 Sister Rosetta Tharpe, virtually unknown to the general public, invented guitar rock almost completely alone. She took gospel music and added elements of R&B and rock n’ roll to it, crafting a (then) completely signature style that would be used by thousands afterwards. Her role as a black woman who came front with guitar-heavy blues music was obviously oppressed. You often hear of the black artists who ‘actually’ invented rock and roll – Chuck Berry, Little Richard, etc. Sister Tharpe, who came before them, was the real ‘actual.’ Unfortunately, her total lack of presence in culture and the fact that she passed 45 years ago basically doom her from induction. Should They Be Inducted: She should’ve been inducted on year one. Odds of Inclusion: 8:1. 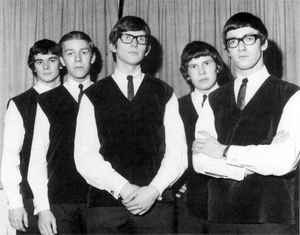 The Zombies were one of the weirder stories out of the classic rock era. Mostly known for their hit “Time of the Season” these days, they actually had an extremely limited output, releasing only two albums during their original 60’s run, but four since 1991. They were also victims of an incredibly interesting scheme that saw random musicians touring under their name, two of whom would later form 2004 inductees ZZ Top. Of the few actual classic rock bands on the ballot this year, they have a solid chance, if not a great one. Should They Be Inducted: Probably. Even if they only released two albums in their original procession, “Odessey and Oracle” is one of the greatest albums of the classic rock era. That alone justifies them. Well thanks for playing along and I hope you don’t bet real money on my picks, because I don’t know what I’m talking about at any point in time. But let’s see how these odds hold up during Radiohead’s performance/no-show early next year! !